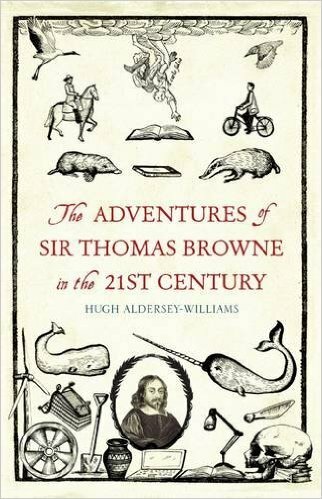 The Adventures of Sir Thomas Browne in the 21st Century is not an orthodox biography of the 17th-century scientist, antiquarian and prose writer. In many ways, this book is more a comment on everyday life the 21st century than on the 17th century. To say that the science writer Hugh Aldersey-Williams has an obsession regarding Browne would be an understatement. The author who lives in Browne’s home town of Norwich is aggrieved how few people recognize Browne’s name and reacts with unrestrained anger at the fact that Browne’s private meadow, where he studied wild plants, is now a car park. Browne’s former house is now a Pret a Manger. The book is a required taste but is not without merit and readers who brave the book to the end will be well out of their comfort zone. The book has generally been well received except perhaps by the Spectator Magazine. Given the fact that nearly every major newspaper and magazine in Britain has carried a review of the book Granta must have an excellent publicity department. The book would have been something of a gamble for Granta given Aldersey-Williams constant comparing the debates over political and religious differences of the 17th century with similar phenomena from our own times. As one reviewer put it “It’s a high-risk strategy to segue from the Civil War and the Restoration of Charles II to Jimmy Savile and Richard Dawkins, the MMR vaccine and the Diagnostic and Statistical Manual of Mental Disorders, Morgellons and the Mass Extinction Monitoring Organization, George Monbiot and Amanda Knox, Mercedes hubcaps and the IgNobel Awards. I have not seen any sales figures for the book, but it has elicited a significant interest in its subject matter. While it 's hard to say for sure why it must have someone to do with the fact that the scientific and philosophical questions that Browne grappled with in the seventeenth century are still with us today. William’s to his credit has recognized this. Thomas Browne was born in London in 1605. He studied medicine in three different places starting at Oxford then Padua and Leiden. When he finished these studies, he moved to Norwich in 1637, where opened a practice and was a physician until his death in 1682. Before proceeding to Norwich Browne started to put his thinking on scientific matters down on paper his published work, Religio Medici was written around 1635 but not printed until 1642. The book sought to reconcile Browne’s belief in scientific reason with his religious belief. He did not see science as a barrier to understanding it “is no vulgar part of faith to believe a thing not only above, but contrary to reason, and against the arguments of our proper senses”. This contradiction between scientific objectivity and religious would be a recurring theme throughout Browne’s work. The writer E J Merton says of this contradiction "Here is Browne's scientific point of view in a nutshell. One lobe of his brain wants to study facts and test hypotheses by them, the other is fascinated by mystic symbols and analogies." “The eclecticism so characteristic of Browne... Browne does not cry from the house tops, as did Francis Bacon, the liberating power of experience in opposition to the sterilizing influence of reason. Nor does he guarantee as did Descartes, the intuitive truth of reason as opposed to the falsity of the senses. Unlike either, he follows both sense experience and a priori reason in his quest for truth. He uses what comes to him from tradition and from contemporary Science, often perhaps without too precise a formulation”. With his next book Pseudodoxia Epidemica (1646) Browne went on an offensive. It challenges what Browne called “vulgar errors”. Browne challenged false belief and superstition. As the reviewer in the Guardian points out “That combination of curious learning, reserved judgment, credulity and proto-scientific method runs through his other major works. Hydriotaphia, Urn-Burial (1658) meditates on death and cremation in the light of an archaeological discovery of a cluster of urns containing burned bones in a field near Walsingham. “Who knows the fate of his bones?” Browne reflects. The Garden of Cyrus (1658) explores the benefits of planting trees in a lattice-like arrangement, and muses on the “mystical mathematics” of the number five. Browne also wrote a glorious inventory of a fictional museum (Museum Clausum) full of lost and impossible objects, such as “The Skin of a Snake bred out of the Spinal Marrow of a Man” and a letter from Cicero’s brother describing Britain in the age of Julius Caesar”. Among some surprising things that Aldersey-Williams’s incredibly detailed book digs up is that Browne was an extraordinary inventor of new words. The editors of the Oxford English Dictionary have him as the first person to use the word “electricity.” It is a pity that the modern day new terms such as “selfie” are not a patch on the words invented by Browne. Browne’s new words show a preciseness and beauty missing in today‘s new additions to the English language. But before we get carried away he did invent terms such as “alliciency” or “zodiographer” which are not so catchy. It is also disputed how many new words can be attributed to Browne. I am not sure that I agree with Aldersey-Williams who believes that Browne’s “tolerant and forgiving” style provides a model for writing and thinking about science today. Both Browne and Aldersey-Williams are Deists in their philosophical outlooks. A strange omission from the book is the belief that Browne was an early member of the Enlightenment. Aldersey-Williams also tends to view Browne and his thought in a very national framework. While it would have been next to impossible for someone like Browne to see the connection between his scientific and philosophical ideas and the political upheavals of the mid-seventeenth century. Someone from the 21st century should have. Aldersey-Williams has like Browne little to say about English Civil war. According to the ODNB (Oxford Dictionary of National Biography) “Little trace remains of Browne's life, during the civil war and the interregnum, other than as author and family man. His post-Restoration letters to his sons show awareness of public events and strong opinions about the killing of Charles I, but the only political act during the civil war and the interregnum of which evidence survives is his refusal in 1643 (along with 431 other members of the gentry and professions) to subscribe money to parliament for the recapture of royalist-held Newcastle. After 1660, however, he played a more open role in the establishment. In Religio medici (I.30) he had declared: ‘I have ever beleeved, and doe now know, that there are Witches’ (a belief shared by Bacon, Harvey, and Boyle). The anonymous account of A tryal of witches, at the assizes held at Bury St. Edmonds for the county of Suffolk; on the tenth day of March, 1664 (1682, 41–2), ‘in the sixteenth year of … Charles II’, reports that Browne was: clearly of Opinion, that [the seven alleged child-victims] were Bewitched; … he conceived, that these swouning Fits were Natural, and nothing else but that they call the Mother, but only heightned to a great excess by the subtilty of the Devil, co-operating with the Malice of these which we term Witches, at whose Instance he doth these Villanies. The English revolution which largely passed Browne by was a world event and should be seen in broad international context within which the political ideas associated with this war developed. According to C Talbot “Israel in his book Radical Enlightenment suggests that the Fronde in France and the Masaniello rising in Naples were just as important in terms of their influence on European consciousness as the English Civil War”. Aldersey-Williams philosophical prejudices tend him to attack anyone who seeks to go further than him in his scientific understanding. For him modern writers such as Richard Dawkins are too dogmatic in their insistence of a separation between science and religious mysticism. Aldersey-Williams tends to gloss over s Browne’s views on depression which are far from helpful. Browne believed that periodical periods of melancholia “are to be cherished as a proper response to the way we find the world”. Having said that Browne’s dabbling with alchemy should be explained after all a much more famous scientist of the time delved into it. Sir Isaac Newton it is true did devote more of his time to the subject than he did writing the Principia. As Chris Talbot points out “Newton did not succeed in turning lead into gold, but he did succeed in discovering the law of gravity. The project of the alchemists was to discover the natural process that had created the elements such as lead and gold, to reproduce that process and to harness it for the benefit of mankind. Given the technology available to Newton, this was an impractical objective, but it took him two decades to find that out. There was, however, nothing "unscientific" or "mystical" about the objective. Alchemy was no more inherently mystical than algebra, which, as its name suggests, came from the same Arabic source”. This book is a curious read, it is an unorthodox book but it is a very good read. Not all of Aldersey-Williams comparisons of the 17th century with 21st century come off but it is a legitimate literary exececise. I would like to recommend the book. It is not for everyone’s taste if it sparks an interest in the extraordinary political, scientific events of the 17th century then it deserves the wide audience it looks to have achieved.